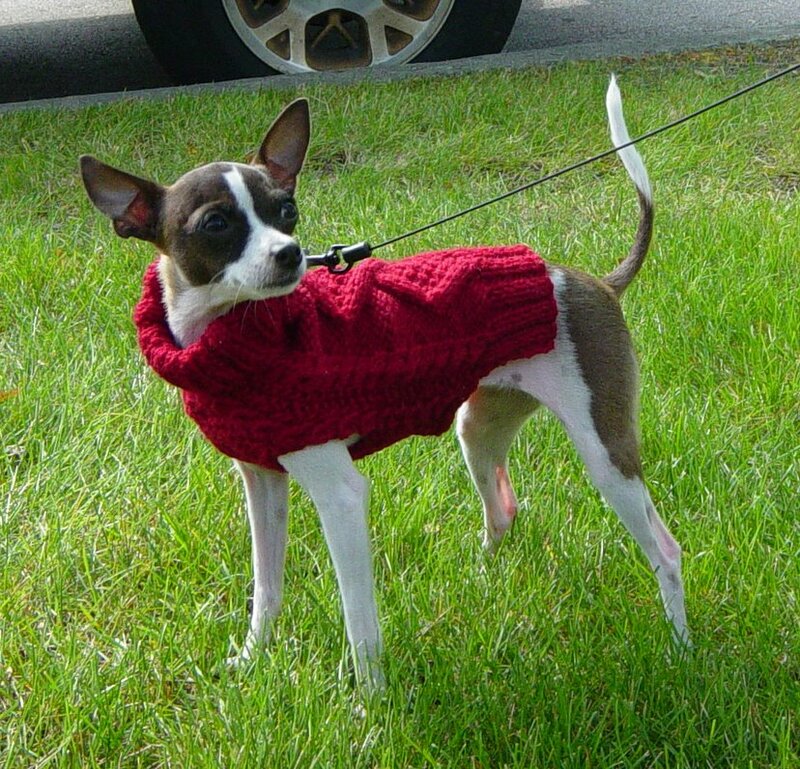 Fall is coming fast in Chicago and I thought Abby should have a new turtle neck cable sweater. She is a stylish city dog after all. The basic dog sweater pattern can be found here. This is a great pattern to create a sweater in any size to fit your dog and it is simple to customize the design to your own choosing. 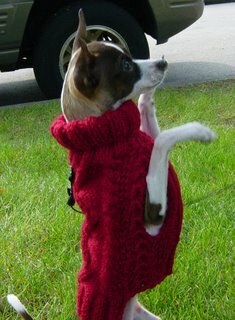 I have knit about 7 dog sweaters from this pattern to fit 3 different dogs. I always knit in a small hole, like a button hole at the back of the neck so I can easily hook the leash onto her collar. Very pretty sweater, Abby is a very luck girl. The past 21 years I have always had big dogs who love the cold weather. Mom's dog Max who now lives with use is 15 pounds of nothing and is going to need a sweater. 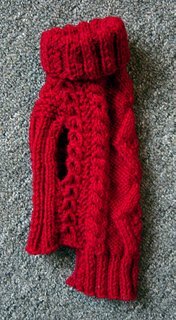 I better work on my knitting skills. Abby must be the best dressed dog on the block... or even in the city! Too cute for words. 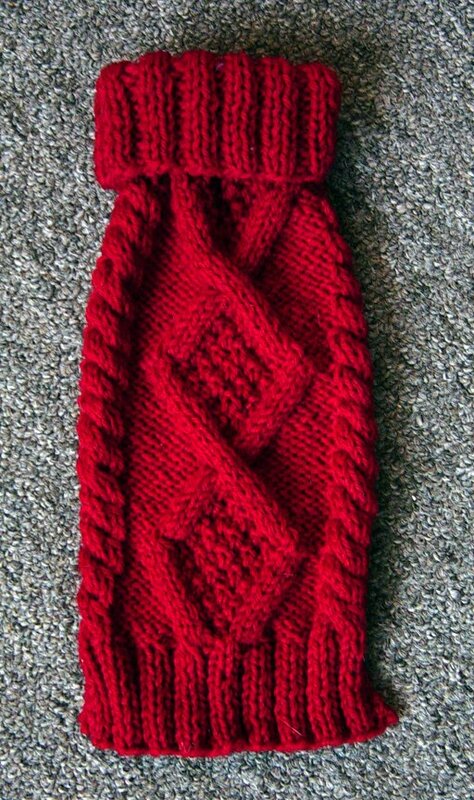 I am going to see frieda today and I am willing to bet she tries to coerce me into making this for George. How much for the dog sweater? If I can get another I'd have a set of comfy leg warmers. Awwww, Abby looks so cute. You don't see dogs with coats much here in New Zealand.